Always curious to try local produce, I tried this herb liqueur by Koskenkorva. 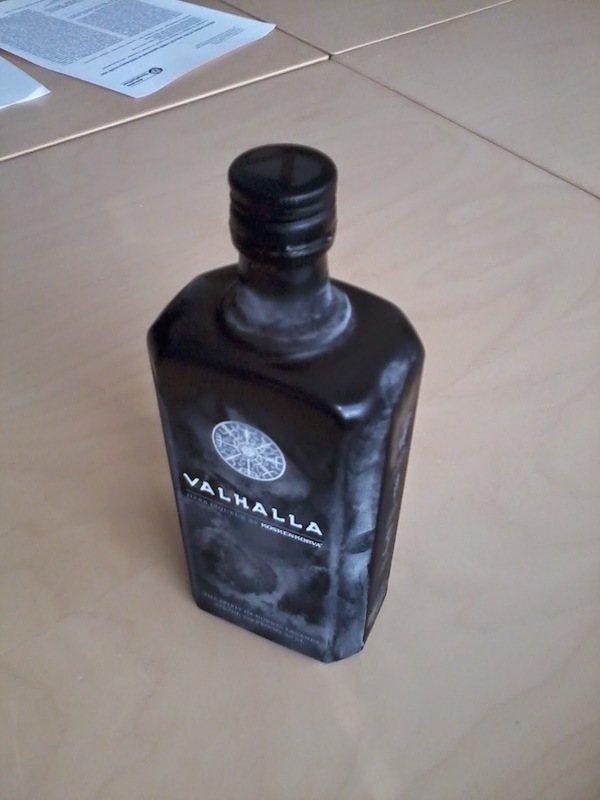 It comes in a matt black bottle, rates at 35% and is ominously titled: "Valhalla". Herb ingredients are: Angelica achangelica, Artemisia absinthium, Achillea millefoium, and Glycyrrhiza glabra.